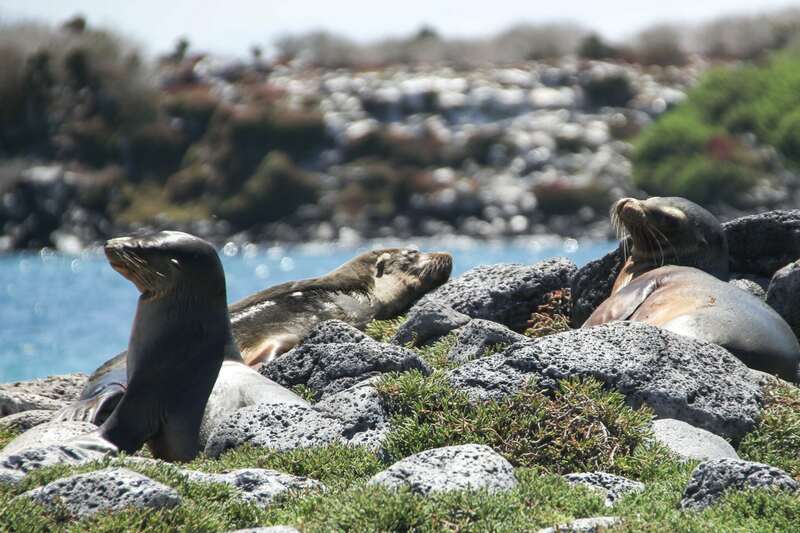 We collaborate with partner schools and organizations to customize programming in Galapagos. 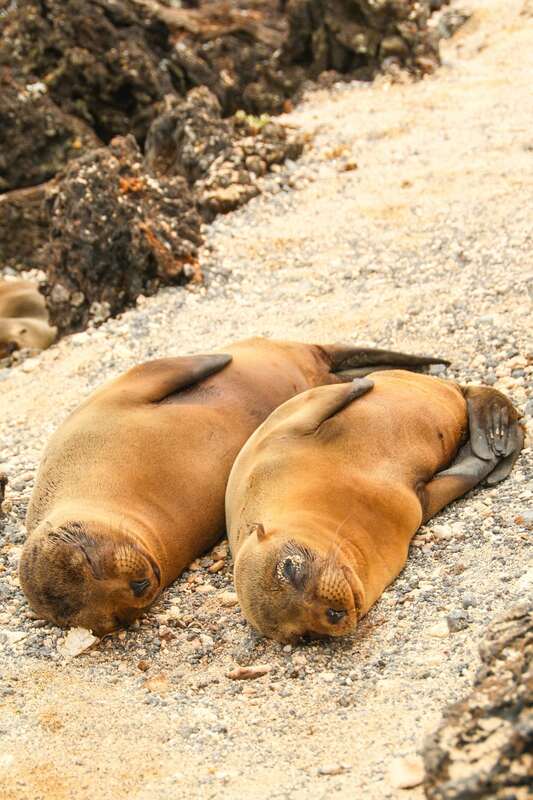 The Galapagos Islands offer more than just an ecological adventure. They provide the perfect setting to help students make connections between academic subjects and the world. Envoys is proud to offer an innovative educational program that approaches learning through an inter-disciplinary pedagogical method. Through a blend of classroom instruction, interactive activities, real-life adventures, and focused reporting, students expand their knowledge in both the sciences and the humanities. They learn to connect academic subjects with the beauty of nature–all while having fun! Given the historical context of Darwin’s research, the Galapagos Islands provide the perfect context for these connections to form. Envoys students pursue rigorous research projects as part of our trip. Students identify their project theme and research questions through a process of consultation with school leaders, academic experts, development practitioners, and business professionals. We land in Quito. Following a thorough health and safety briefing, we set out to explore the city. During the afternoon, we set out individual learning goals for developing language skills, learning about the Galapagos environment, understanding the scientific and human history of the islands, interacting with native Galapaguenos, and sharing our adventure with those back home. Working with Envoys staff, students will identify how they will separate themselves from the “educated tourists” and take personal responsibility for making this trip a life-changing experience. We rise early for our morning flight to the Galapagos Islands! We land on the island of Baltra, an old U.S. military base during the Second World War and now one of the main gateways to this amazing archipelago. After a very short ferry crossing, we head by bus to our lodge, located in the highlands of Santa Cruz Island. The afternoon is spent exploring the town of Puerto Ayora, meeting with local hotel owners and fishermen. We leave by private bus for a short hike and nature exploration around Santa Cruz’s caverns. Students learn about native, endemic, and invasive species of both fauna and flora. During the evening we begin our review of the islands’ unique “human history,” beginning with their discovery by the Bishop of Panama in 1535. 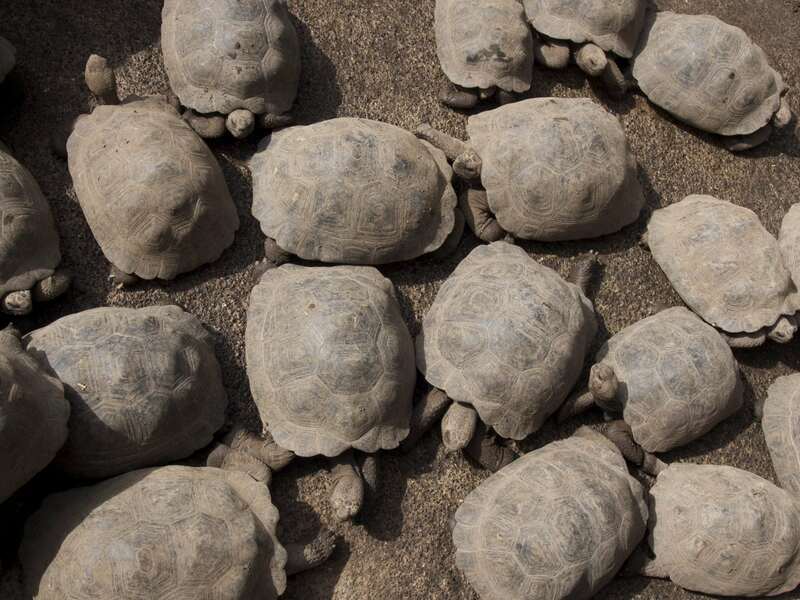 Today is our “Tortoise Day!” An interactive lesson on the breeding, feeding habits, species, and lifespans of these icons of the Galapagos sets the stage for our day. We then head to the Tortoise Breeding Center, started in the early 1970s by the Galapagos National Park in an effort to restore the population of giant tortoises in the archipelago. At the center, students learn about conservation efforts and spend time bonding with these magnificent creatures. 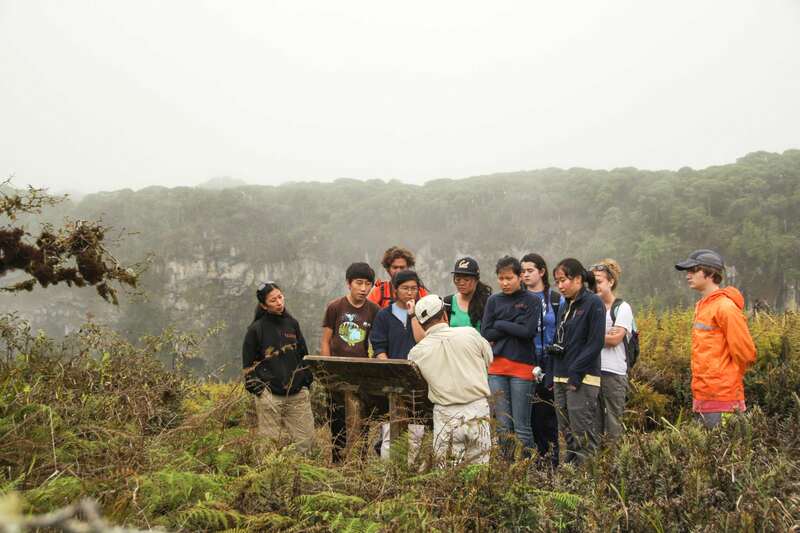 Students conduct interviews with current park rangers and conservationists, getting another viewpoint of the islands. The afternoon is spent visiting a local organic farm and learning about efforts to introduce sustainable and non-invasive agriculture to the islands. Visiting the farm also gives us a chance for a short hike into the forest, along the migratory path of the famed Galapagos giant tortoise! 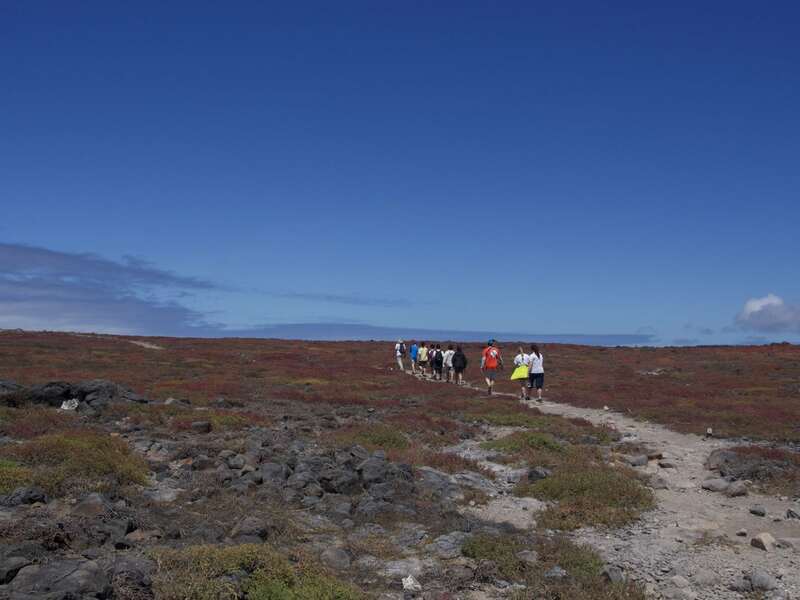 During the evening we hike to Tortuga Bay, considered to be one of the most beautiful beaches in the Galapagos. The sunsets here are breathtaking! We rise early for a private boat trip to the Plazas Islands, located approximately 30 minutes from the northern shores of Santa Cruz. 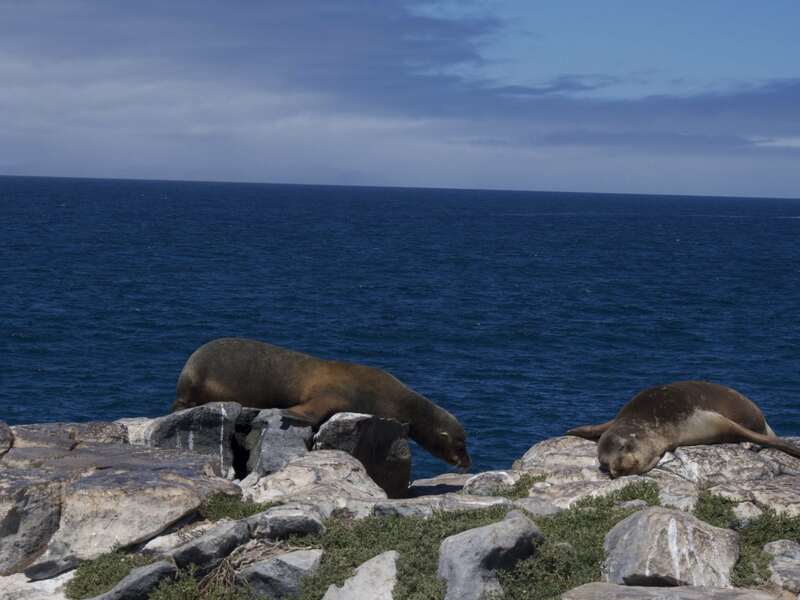 While traversing the island and exploring the rocky coast, we encounter colonies of blue-footed boobies, magnificent frigate birds, sea lions, and the amazing land iguanas! We return in the early afternoon and relax in the town. During the evening, students compose the first of their “stories for home,” focusing on explaining their experiences in the Galapagos to a specific member of their family. Our journey through the archipelago continues with a boat ride to Isabela: one of the youngest islands in the Galapagos. Shaped like a sea horse, Isabela is the largest of the islands in the Galapagos and is located on the westernmost boundary park. This will be home for the next two days. After an early wake-up call, we head to Sierra Negra Volcano. 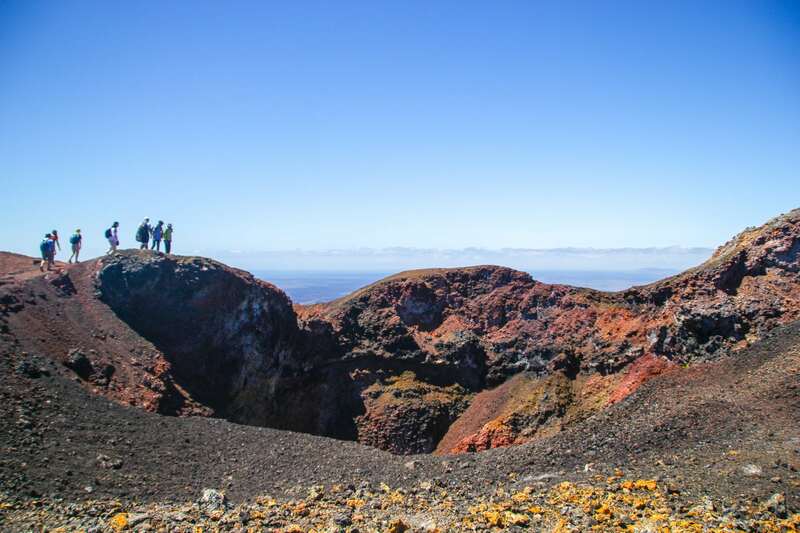 Our hike up to the top will offer a once-in-a-lifetime landscape of black lava fields, volcanic cones, and breathtaking views of the Pacific Ocean. 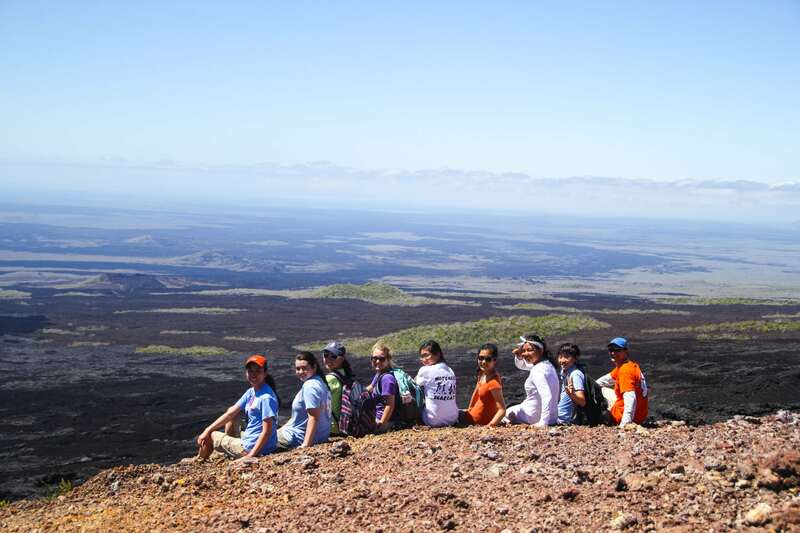 Additionally, students are able to experience “field lessons” from Envoys staff and local guides on the unique geology of the islands. We return in the early afternoon and enjoy the soft sandy beaches at the coast of Puerto Villamil. During the evening, students work on another “story for home,” writing a few paragraphs of a news article or college application essay on the events of the day. The goal of the morning is to find the green sea turtles that swim around the underwater volcanic wall located in front of the town. With our snorkeling gear and the help of our local guide, we spend time in the ocean and hopefully have a chance to see the endemic penguins of the Galapagos. Later that day, we get a taste of the history and culture of Isabela at the Wall of Tears which was erected by convicts in the first half of this century when the area served as a jail. Many prisoners died during the construction work, giving the structure its infamous name. During the evening, students meet individually with local businessmen and guides on Isabella to get a final set of perspectives on the islands. We return by boat to Puerto Ayora and from there to Baltra, where we will take our flight back to Quito. During our final day in Quito, we come together to engage in a dynamic negotiation activity. Using the knowledge gained from interviews and interactions with the Galapagos citizenry, students prepare alternate plans for the future regulation of the tourist and fishing industries in the islands. Using a set of techniques drawn from the Harvard Law School Program on Negotiation, Envoys staff empower students to conduct principled negotiations while advocating their plans. During the morning, students return to the learning goals that they set for themselves and reflect on their progress, making plans for maintaining connections to the Galapagos after they return home.